In order to strengthen our faith and purify our walk, while in situations that are painful and difficult, we need something more than a simple “stick-to-it” mind set. We need power, and power is what we get if we have the mind of Christ; that power comes from the Presence of the One who is the Power and the Glory of God. When reading II Corinthians 12:1-10, we are taken inside of the suffering of the apostle Paul; to Him this suffering was absolutely humiliating. 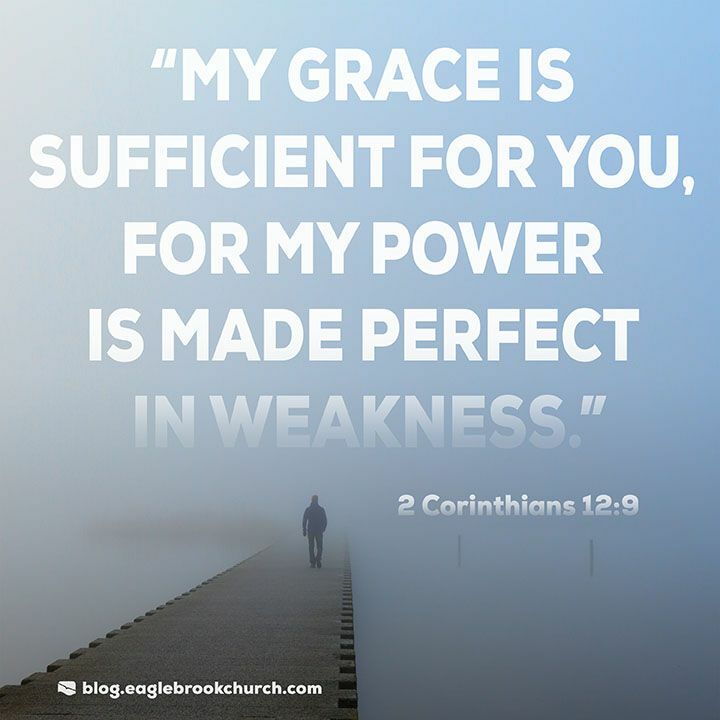 After pleading with God to take the pain away three times, yet the Lord offered only one answer; “My grace is sufficient to sustain you, for My power is made perfect in your weakness”. Therefore, in humility before God, Paul says He would rather rejoice in his weaknesses and the trouble that brings it on; then the power of God would rest upon him. This power of God resting, is similar to the word Jesus used in declaring to the disciples, that upon waiting in Jerusalem for the gift of the Father, they would be “endued with power from on High”. The word “endued” simply means to be enveloped or plunged into the power of God. 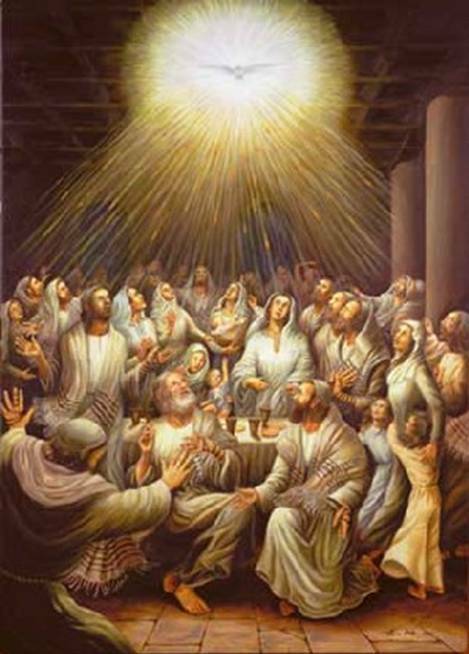 We understand that this enduement of power was the necessary first step, on the day of Pentecost, for being filled with the Holy Spirit (Acts 2:1-4). Simply put, they were baptized in the Holy Spirit, then filled with the Holy Spirit. This pattern was repeated in Chapter 4 of Acts, after Peter, James and John were persecuted for their faith in Christ, and having returned to the brethren they prayed. Let’s read what happened after they prayed, not to avoid further suffering, but for God to manifest His power; in the midst of more suffering for Christ. (Acts 4:31) And when they had prayed, the place where they were assembled together was shaken; and they were all filled with the Holy Spirit, and they spoke the word of God with boldness. We see that in the midst of suffering, they were filled with the Holy Spirit again (We are called to continually be being filled” with the Holy Spirit in Ephesians 5:18). Now considering Paul’s predicament, we understand the nature of His testimony of God’s power resting upon him, in a supernatural and known way. Yet to see the complete view we must travel back a few chapters. (II Corinthians 4:7-11) But we have this treasure in earthen vessels, that the excellence of the power may be of God and not of us. We are hard-pressed on every side, yet not crushed; we are perplexed, but not in despair; persecuted, but not forsaken; struck down, but not destroyed–always carrying about in our body the dying of the Lord Jesus, that the life of Jesus would also be manifested in our body. For we who live are always delivered to death for Jesus sake, that the life of Jesus also may be manifested in our mortal flesh. This passage reveals the 4th purpose of our suffering: Jesus’ resurrection life and power on display for the whole world, through our sufferings. With Paul’s “We are hard pressed…” we see the beginning of suffering on Christ’s behalf, which needs the power of God endued from on high. As we submit in faith, not only are we plunged afresh in the power, but then filled with the the Holy Spirit, which is the presence of Our Savior. Henceforth, Jesus’ life is seen in and through us. It is this wonderful and godly purpose in suffering that brings so many to believe on Jesus all around the world. When the world sees the followers of Jesus loving their enemies, blessing those who would curse them, doing good to those who hate them and praying for those who would destroy them; they literally see Jesus. When the world of lost men see Christians who lay hands on the suffering and they recover, or continue to preach Christ crucified when their lives are in danger; they literally see Jesus. When they see followers of Christ meeting in a crawl space to pray, or suffering the deprivations of persecution; they literally see Jesus. The reason they see Jesus is for the special union between He and the sufferer. Here we see the fifth good and godly purpose for our suffering. (Philippians 3:10-11) that I may know Him and the power of His resurrection, and the fellowship of His sufferings, being conformed to His death, if, by any means, I may attain to the resurrection from the dead. In order to understand this purpose in relation to suffering, we must look into the word “know”. In the Greek language of the New Testament, the word “know” is the same word used in Luke 1:34, where Mary was befuddled at the angel’s revelation she would have a baby, as she said “I do not know a man”. This understanding reveals the depth of Paul’s desire for the Savior. The apostle is praying for a deeper, more inmate connection to Jesus Christ, by the fullness of the Holy Spirit, than the one flesh union between a husband and wife. Make no mistake this is the goal of Paul’s prayer, and it is possible for us only through walking in His sufferings, as his prayer records. It is often easy to dismiss the deeper meanings of such passages in times and geographies of relative peace, but among the persecuted, this union is a supernatural reality. This reality sustains, empowers and fills the saint with love and commitment. Attempting to describing it in words will always fall woefully short, it must be experienced, and only can be by those who live their lives so sold out for Christ that they become an easy target for the enemy to buffet. In those times others then can experience the love, life and power of Christ, through the one He is manifested through. When this reality is seen, the follower becomes a living example of the life of Jesus. Consider the young deacon Stephen of Acts of the Apostles 6 and 7. This man was so mighty in Christ, that the religious could not best his proclamation of Jesus and his face was bright like that of an angel (Acts 6:8-15). In Acts 7, as he was literally having his skull crushed, through being stoned to death, his union with Jesus gave him supernatural strength, as well as Jesus’ presence experienced and seen. (Acts 7:54-60) When they heard these things they were cut to the heart, and they gnashed at him with their teeth. 55 But he, being full of the Holy Spirit, gazed into heaven and saw the glory of God, and Jesus standing at the right hand of God, 56 and said, “Look! I see the heavens opened and the Son of Man standing at the right hand of God!” 57 Then they cried out with a loud voice, stopped their ears, and ran at him with one accord; 58 and they cast him out of the city and stoned him. And the witnesses laid down their clothes at the feet of a young man named Saul. 59 And they stoned Stephen as he was calling on God and saying, “Lord Jesus, receive my spirit.” 60 Then he knelt down and cried out with a loud voice, “Lord, do not charge them with this sin.” And when he had said this, he fell asleep. I believe, Stephen’s martyrdom, was brought to mind by the Holy Spirit when Paul (who witnessed the young deacons death) wrote in II Corinthians 7:10 “always carrying about in the body the dying of the Lord Jesus, that the life of Jesus also may be manifested in our body“. Stephen’s triumphant death on Christ’s behalf reveals the sixth and final good and godly purpose in our suffering: to reveal the love of God for all men, in the Savior suffering on behalf of His enemies. In Stephen’s last word’s of forgiveness on his enemy’s behalf, we hear Christ’s own “Father forgive them for they know not what they do”. It is true that our own suffering on His behalf, points to His own for us. Now we turn to the undeserved suffering that opened the kingdom of heaven to all men; that of Jesus. Only Jesus’ suffering answers the question of why God allowed suffering in the first place, when He knew sin would cause it. Simply put, there is no greater love than to lay down ones life for His friends. Herein is God’s great love: He treats all men as His friends regardless their disposition, while we treat Him as our enemy. God’s love, willing to forgive man’s sin, through Christ’s paying the wages of that sin, can only be seen through the cross of Jesus Christ (Romans 5:8). To be willing to die that another might live, especially when that “another” is born an enemy, is the Love of God. This, in my opinion, is the only plausible explanation for God giving man free will, when He knew we would eventually sin, causing separation from Him and the suffering we experience in the world. To make us serve Him by program, is not love, but controlled response. We had to freely choose His grace, benevolence, kindness and mercy. We cannot by natural birth. He on the other hand had to express His love for us, regardless of whether we responded in kind. Was it not Jesus who told us “For if you love those who love you, what reward do you have?” How could He say that of us, when He, as God in the flesh, would not embody the truth? He of course did embody this truth, as the fullness of the Godhead in bodily form. God’s love was first revealed in His discipline of the first parents, and subsequently in the slaying of an animal to cover their shame with coats of skin. In this death they received a pattern, by which they could still stay in some connection with Him. This also pointed to the Lamb slain before the foundation of the world. In His love, He gives all men the opportunity to receive His grace, by faith, in a supernatural birth by the Holy Spirit. It is true there is an eternal penalty for those who reject Jesus, yet this is for the sake of love was well; yet that is a discussion for another time. For now it is enough to remember that God has a purpose for everything He allows or ordains under the sun. Our suffering is included in that and remember… In the midst of the valley of the shadow of death, He is with you, you need not fear, No matter the outcome, your hope is sure, you will see Jesus face to face. God never forsakes a promise. He is Love. This entry was posted in "be being filled with the Spirit", Baptism in the Holy Spirit, Christian suffering, filled with the Spirit, God's love, Jesus Christ, Matthew 5:44-48, persecution, theology of suffering, Uncategorized. Bookmark the permalink.